MultiCam made a small but exciting appearance at the Monster Energy AMA Supercross Military Appreciation race in San Diego a week ago thanks to Mechanix Wear. 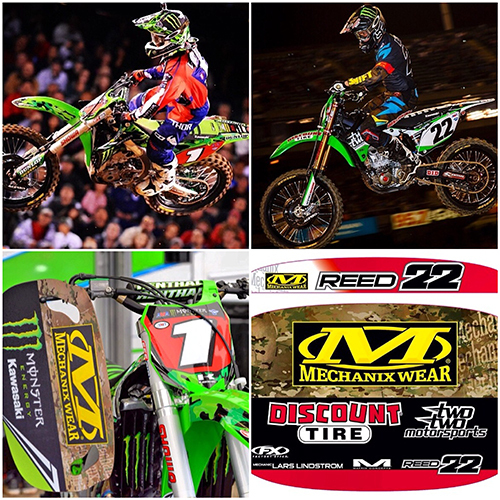 The original MultiCam pattern graced the mechanic’s pit boards of former champion #22 Chad Reed of TwoTwo Motorsports and reigning champion #1 Ryan Villopoto of Monster Energy Kawasaki. It’s worth noting that Monster Energy AMA Supercross and Operation Homefront are hosting an online auction of gear worn that night by 10 riders including James Stewart, Ryan Dungey, Justin Barcia, Reed and Villopoto. Go HERE to place your bid. Auction ends February 21st.